This is the Ducati 125 TV ’Testone, a bike that first broke into the motorcycle scene back in 1961 as part of Ducati’s line of 125 cc bikes. Despite introducing a more powerful range of 175 cc SOHC bikes four years earlier in 1957, the 1961 TV ’Testone’ still carried the 125cc powertrain until 1968. 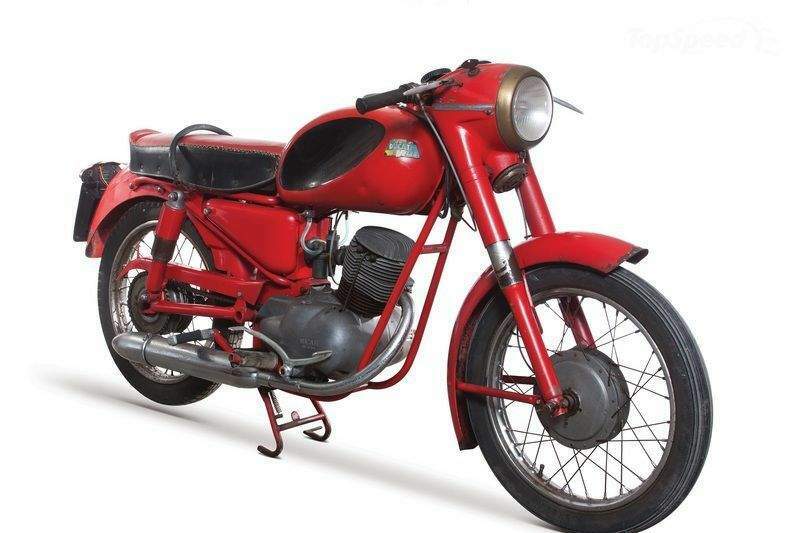 The Ducati 125 T (Turismo) and 125 TV (Turismo Veloce) were single cylinder, four-stroke OHV motorcycles built by Ducati from 1956 to 1960, featuring a double downtube full cradle steel frame and full-width drum brakes. The 1961 125 TV ’Testone’ is the very definition of the word. 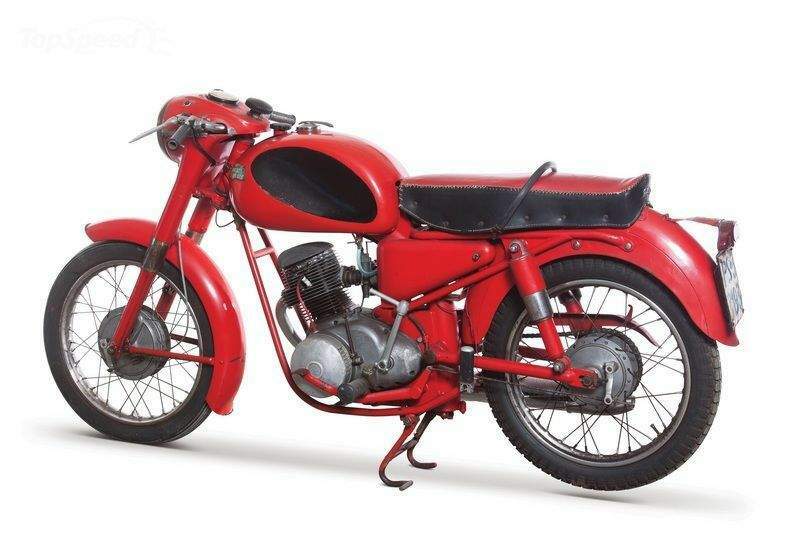 In addition to its impressive powertrain, which produced an output of 6.5 horsepower, the bike also carried some significant styling cues other Ducati bikes, particularly those that carried Taglioni’s revolutionary sporting designs.